I'm taking part in Operation Walk Ireland on Friday 22nd March 2019. Operational Walk Ireland is an Irish-based charity whose mission is to perform hip and knee replacements for patients who would otherwise not have access to this life-changing surgery. We aim to preform 100 surgeries in 7 days. All team members are volunteers and donations go toward medical supplies and equipment necessary for providing pre-assessment, joint replacement and postoperative rehabilitation in Vietnam. Total joint replacement in Vietnam costs the equivalent of three years of average salary. The mission would not be possible without the generous donation of implants by several firms. 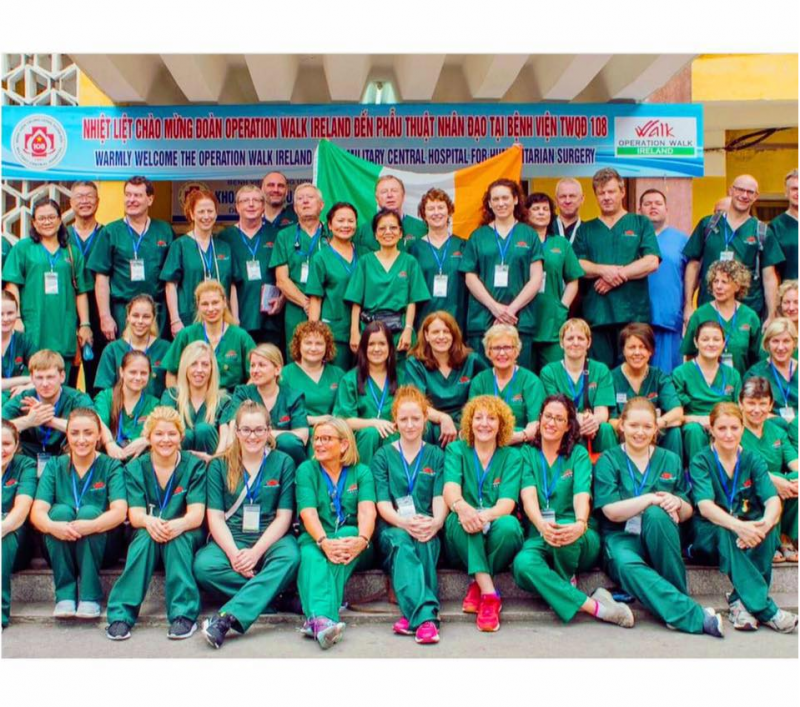 Operation Walk Ireland is at ground level working to educate Vietnamese surgeons, anaesthetists, nurses and physiotherapists about joint replacement.